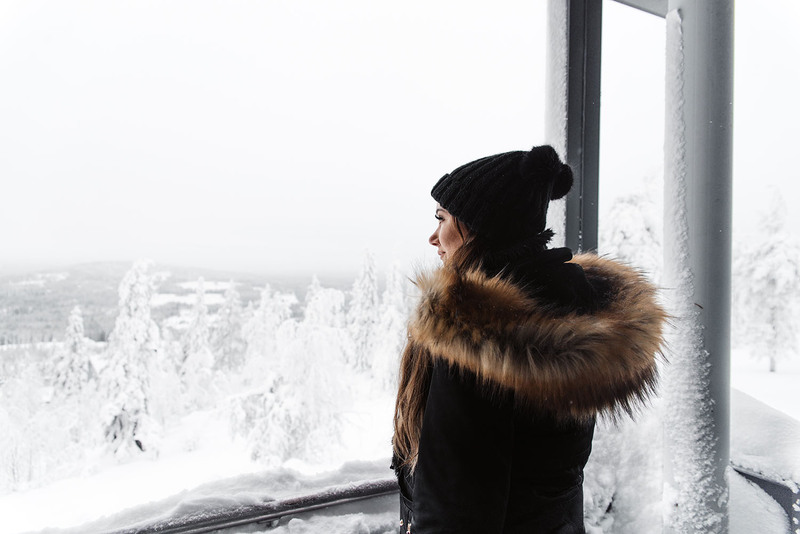 Northern Finland is not only Santa’s home, but it’s also the home of northern Scandinavia’s largest city Oulu with over 200 000 inhabitants. 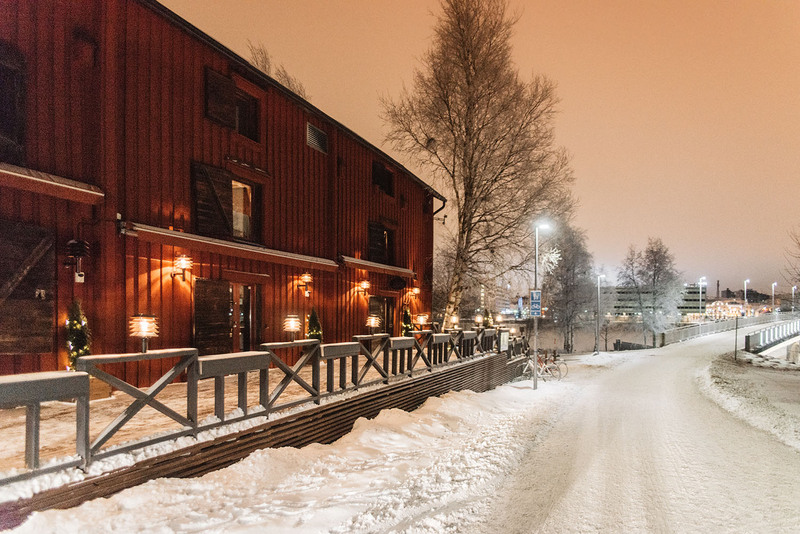 It’s a very cozy city with several Lapland activities close at hand. I must admit that I knew almost nothing about Oulu. A bit embarrassing, especially as I grew up across the border in Sweden (in Umeå), just a few hours drive away. That is why I am especially grateful to have been one of the participants in the Nordic Blogger’s Experience this year. 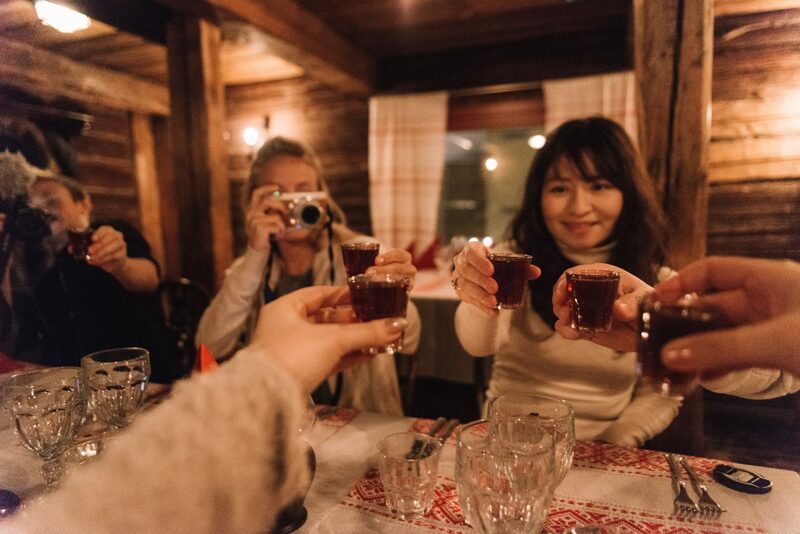 Besides from getting to know bloggers from all around the world, networking and discovering new destinations, I’ve got the chance to explore Finland and my grandmother’s homeland. 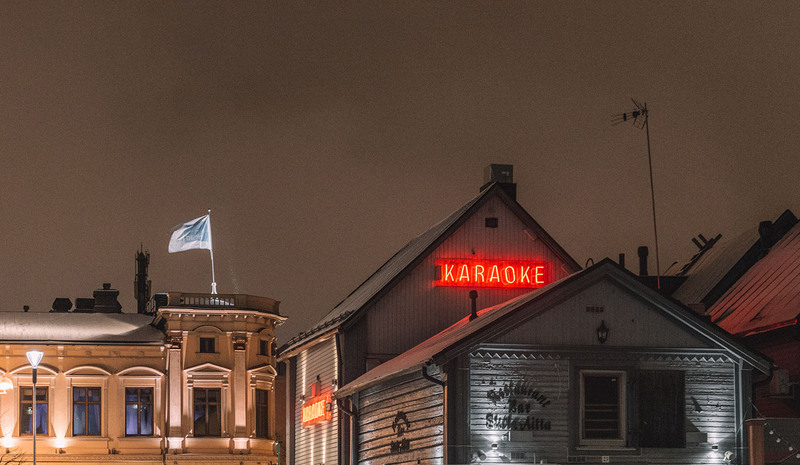 Our first stop on the trip was Oulu and it’s just that city and the surrounding region that this post is about. 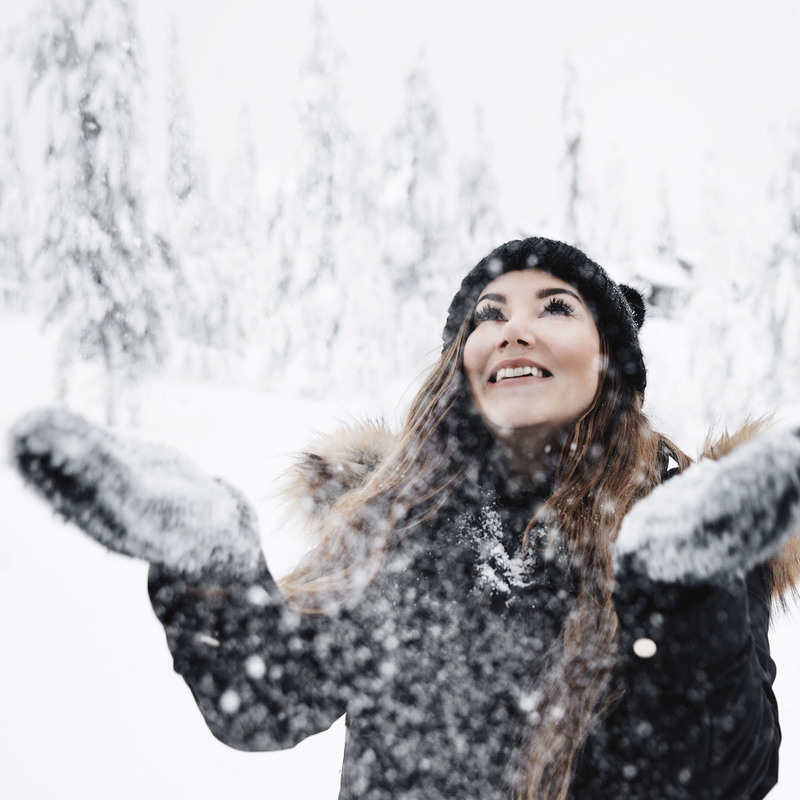 Oulu is the perfect destination and starting point for when you want a taste of Lapland but also want to enjoy restaurants, nightlife and shopping opportunities in a larger city. Oulu is actually Finland’s fourth-largest city. 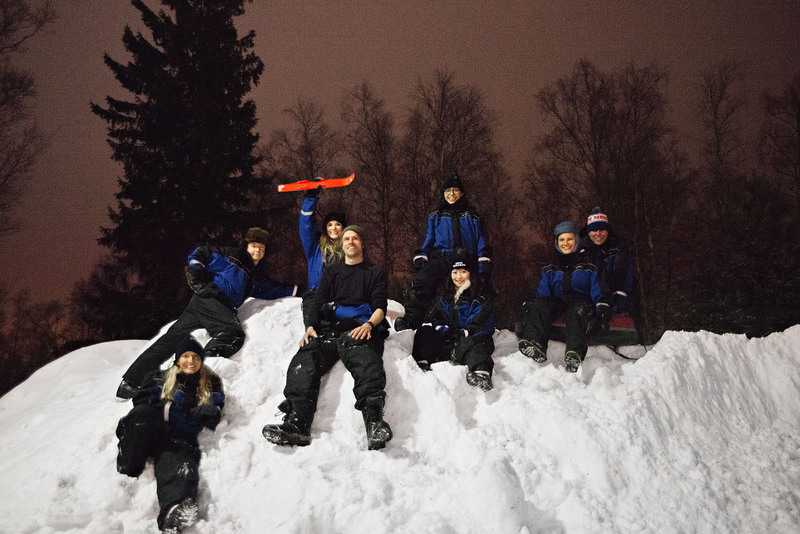 I’ve put together my favorite experiences in the Oulu area here in this post. Enjoy! 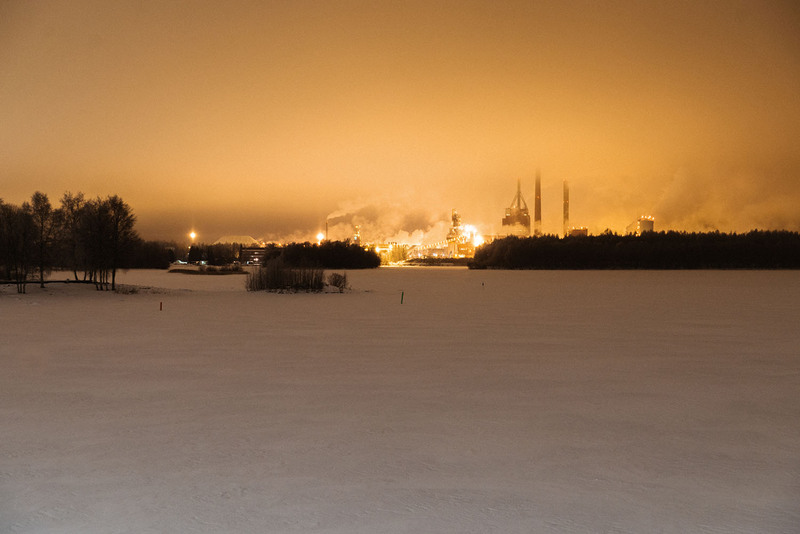 SPOTTED: A beautiful skyline in Oulu. 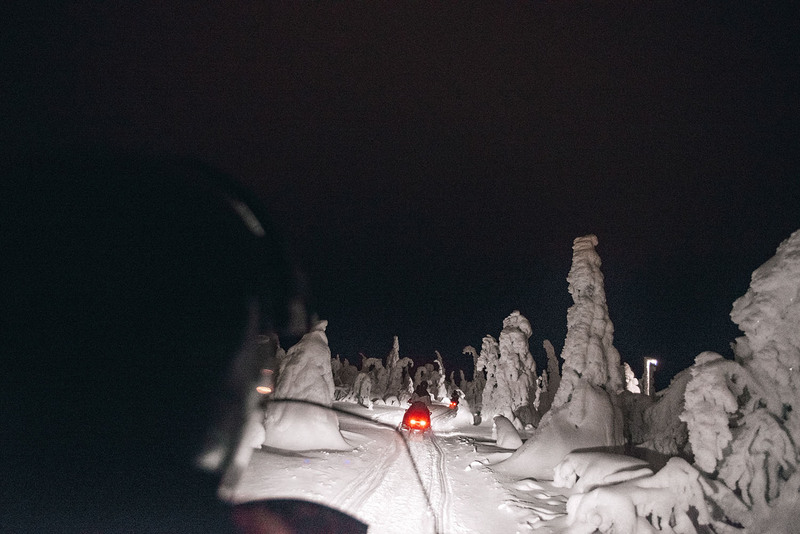 You do not need to visit Lapland to experience all that goes with it. 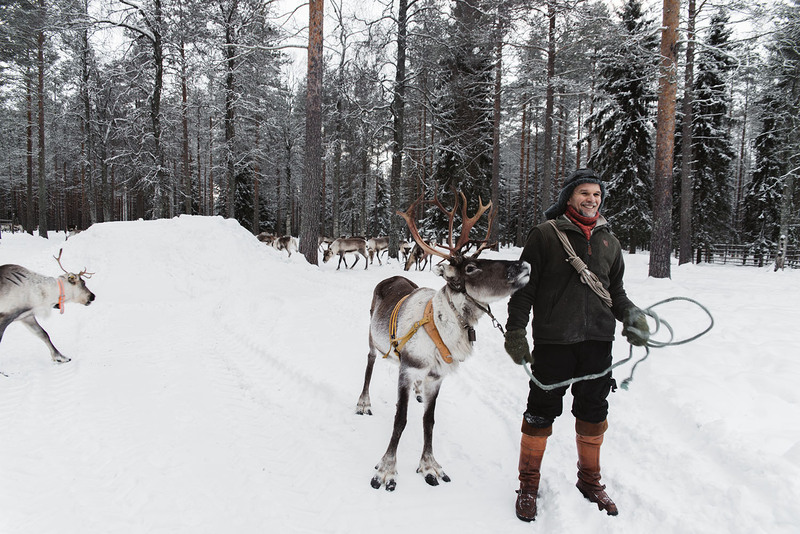 An apparent Lapland experience is of course to meet reindeer, and there are several reindeer farms close to Oulu. 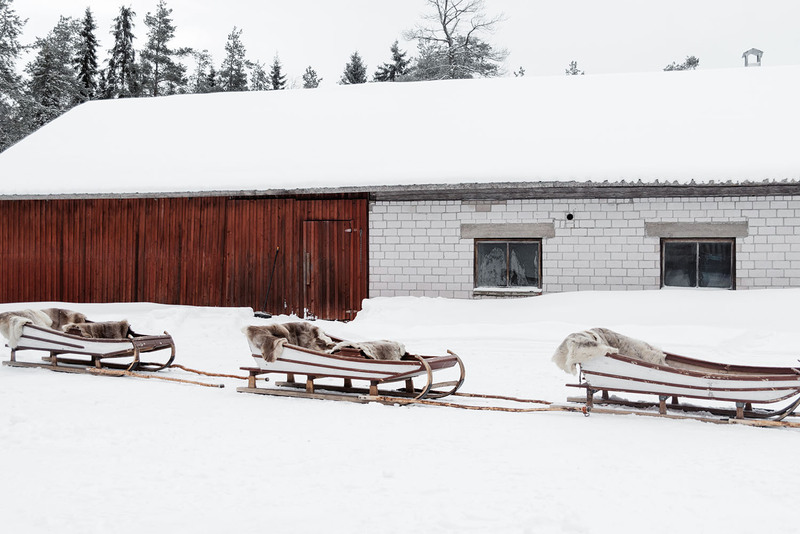 We visited Poro-Panuma who has been taking care of reindeer for over 250 years. Here you can take a tour and travel the old-fashioned Sami way with reindeer sleigh, meet the herders and feed the reindeer with moss. 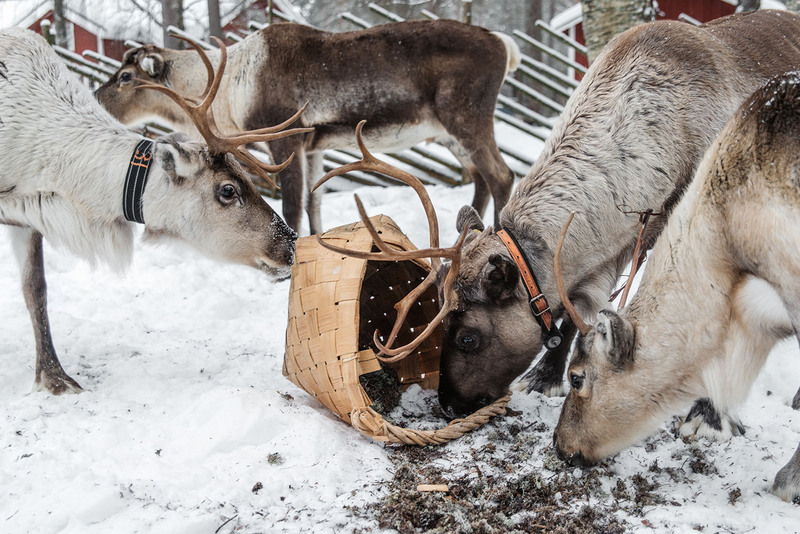 When the herders took out the baskets with moss, the reindeer came running towards us from all directions. The food ran out quickly, and I only wished I had more to give … I mean, just look at their puppy eyes! Resisting that cute gaze is hard. I would give them anything they asked of me. After a short tour with the sleigh, we had a coffee break with leipäjuusto (bread cheese) in this cozy place. Just about a two hours drive from Oulu you find Finland’s southernmost fell Syöte. 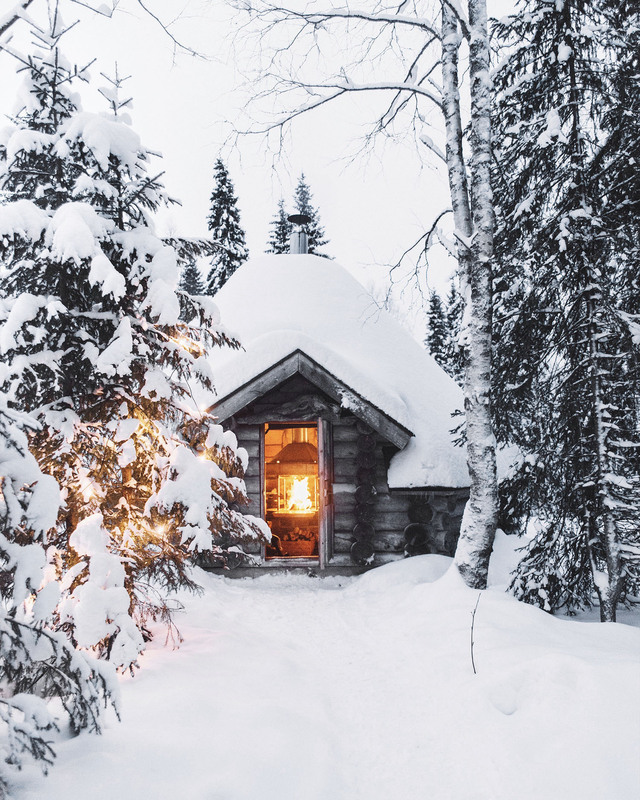 This place is where you should go to experience a real winter wonderland. The humidity in the Syöte area makes the trees stay snow-covered until March. Believe me; it’s unforgettable POSTCARD VIEWS! I just want to go back and take pictures of the trees in sunset and sunrise. I almost felt like an astronaut walking in this winter landscape with the snow-covered trees looming over me. 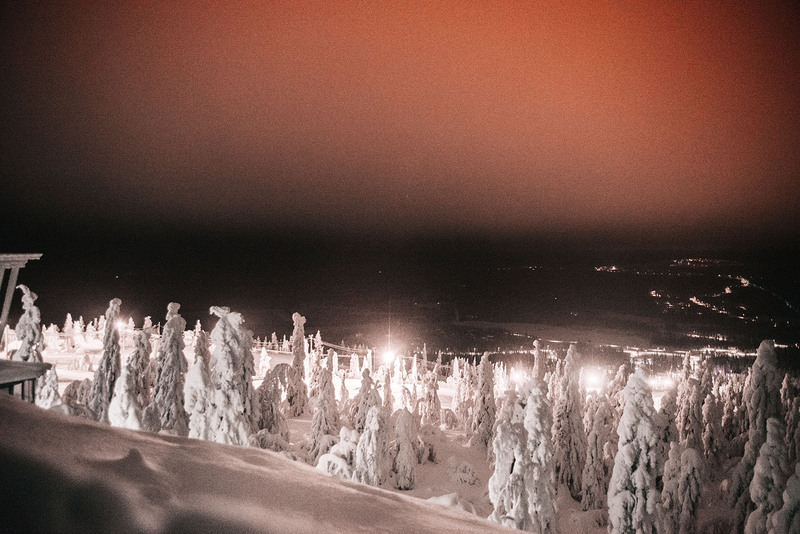 In addition to a winter wonderland, Syöte is known for its national park and its two ski centers. If you like to go skiing, snowboarding or like other winter sporting activities – check in at the ski resort Iso-Syöte or Pikku-Syöte. 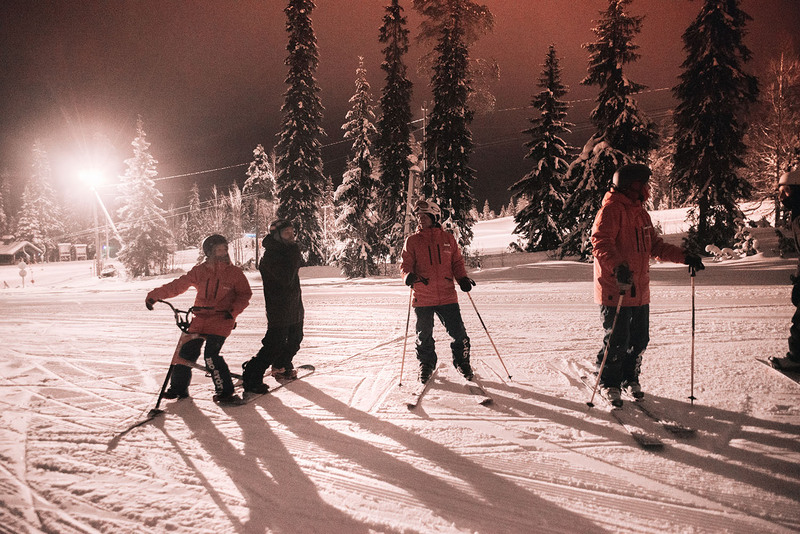 In total there are 24 slopes and over 120 km of trails for cross-country skiing. Frodo is checking up on me. Next to him you can also spot the brother to another LOTR-dog, namely Goljat who is the brother of Gandalf. 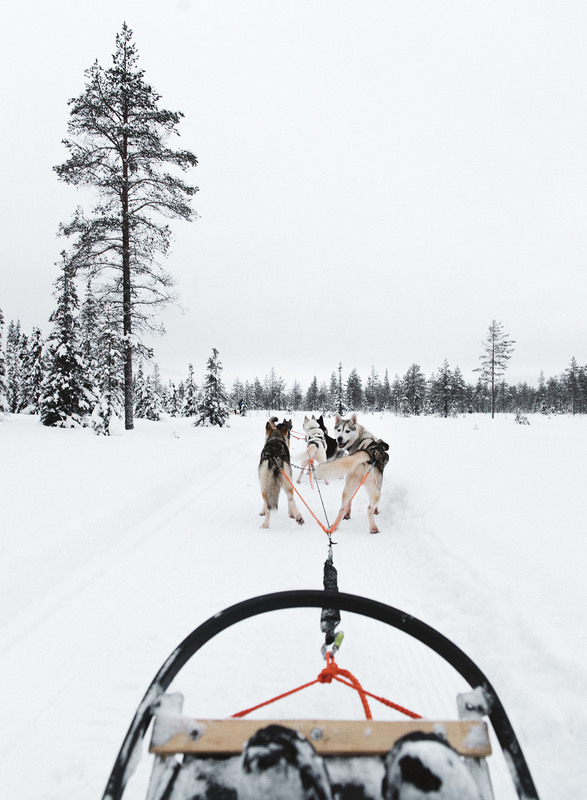 Feeling the speed and the Huskies enthusiasm, going on a sleigh through snow-covered woods was like a dream. Husky Safari was by far my favorite experience during my whole trip in Finland. 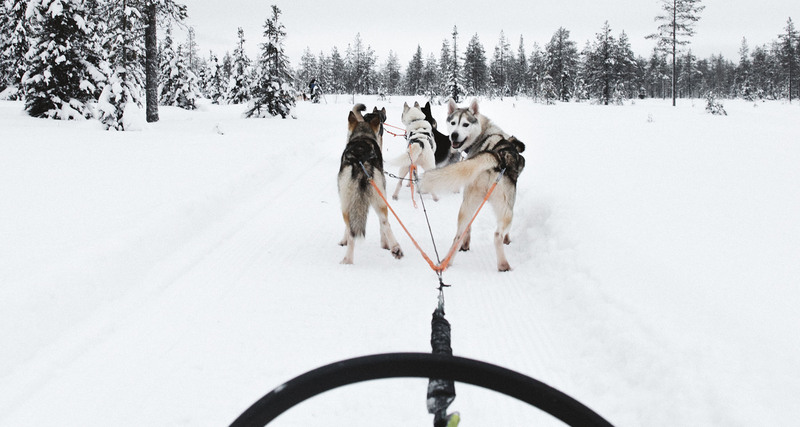 It’s for sure an adventure that will make sure that your heart too, stays in the Nordic wilderness. There are several husky farms around Oulu to choose from, so you just have to pick your favorite. We visited Syötteen Eräpalvelut which has around 100 (!) Siberian Huskies. 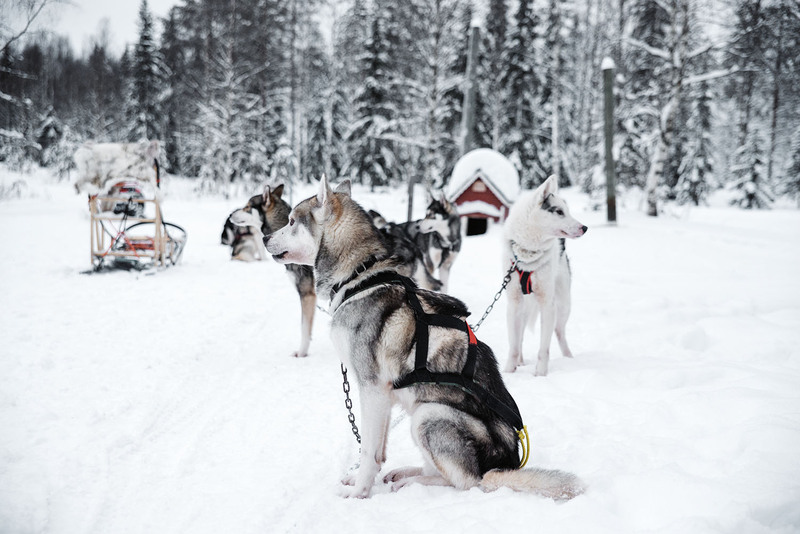 To just hear the Arctic dog’s howls before the tour was an experience in itself. But nothing beats the feeling of gliding through the wintery landscape. It’s so fascinating, authentic, magical and exciting way to travel and at the same time explore nature. After the tour, we sat by an open fire in a Lappish tepee and “husky mama” Jonna told stories about her dogs. She also said that in some husky farms you could spend days with the Huskies to get really close to them and the wilderness and actually become a part of the pack. It must be amazing! Karelian pies, salmon soup, smoked fish, mashed potatoes, kalakukko (fish pie), sautéed reindeer, dark rye bread and bread cheese. You should, of course, take the opportunity to try traditional dishes. Luckily, there are plenty of Finnish flavors on the menu in Oulu. A lovely restaurant is Sokeri-Jussin Kievari. They only use local produce and fish and meat from Finland. The dark wooden floor creaks with age and the whole atmosphere is historic. It’s a bit dark inside at night but ooh-how-yummy the food is! 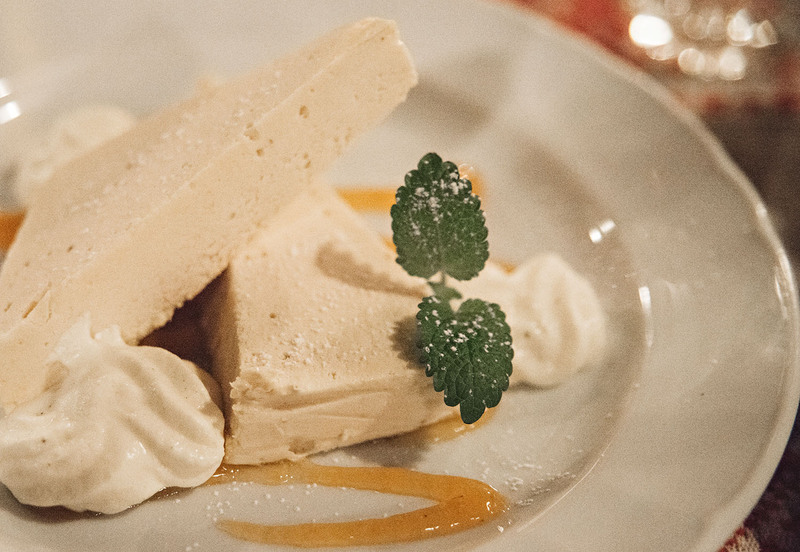 Don’t miss the dessert with homemade arctic cloudberry ice cream, compote and whipped cream. Arctic Cloudberry Dream … it was like HEAVEN! 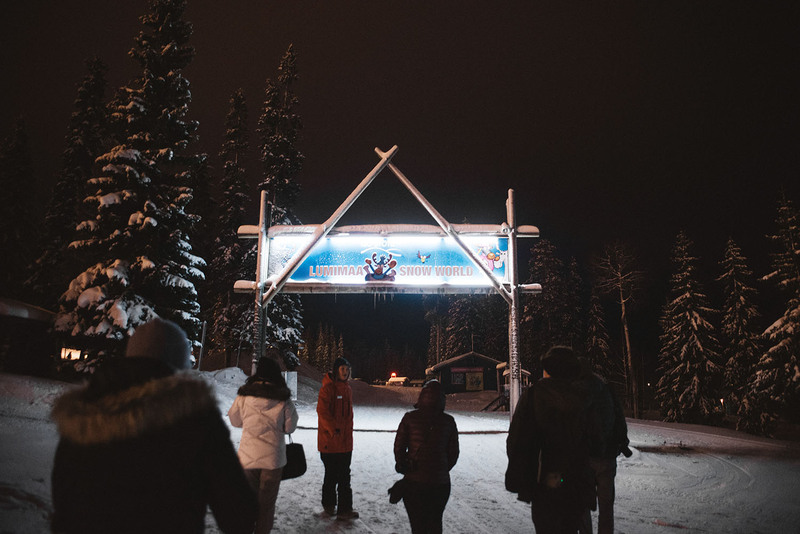 Seeing the northern lights dancing across the sky belongs to the experiences you never forget. If you are mainly interested in seeing the aurora borealis, it’s, of course, best to go to northern Lapland, where you can basically see the Northern Lights every other clear night between September and March. But even in Syöte is a good chance to see the aurora borealis. With a little luck. Unfortunately, we did not have the luck on our side (as the sky was not clear), but as we hunted for the lights on a snow scooter, the tour itself was a fun experience. 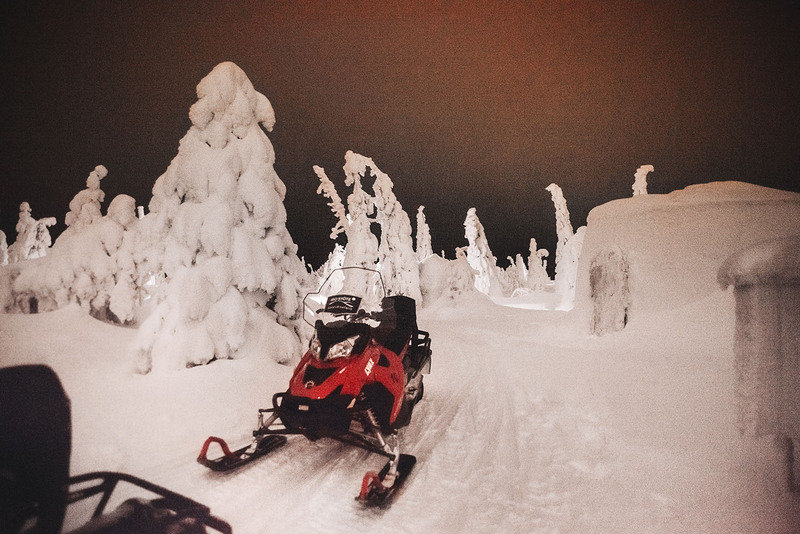 Although auroras certainly had been one of the best highlights of the trip, I think it was quite magical to see all the snow-laden trees lit up by snowmobile lamps. The trees stood like statues beside the track and offered such a surreal view. I have never seen such snow-covered trees in my entire life (and that’s saying something as I’m from the north of Sweden). In Iso-Syöte everything was covered in snow. And I really mean everything. It’s probably a good idea to have GPS when driving here as it’s not unusual that even the road signs are completely white. In summer, the kilometer-long sandy beach Nallikari is the go-to-place for sun worshipers in Oulu. 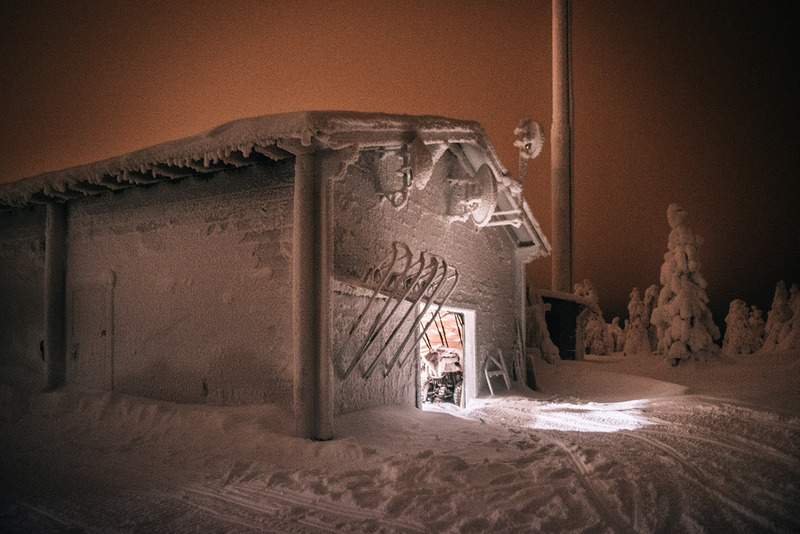 But even in winter, the Oulu residents summery IT-place is worth a visit. Especially if you want to feel like a child again or travel with your family. 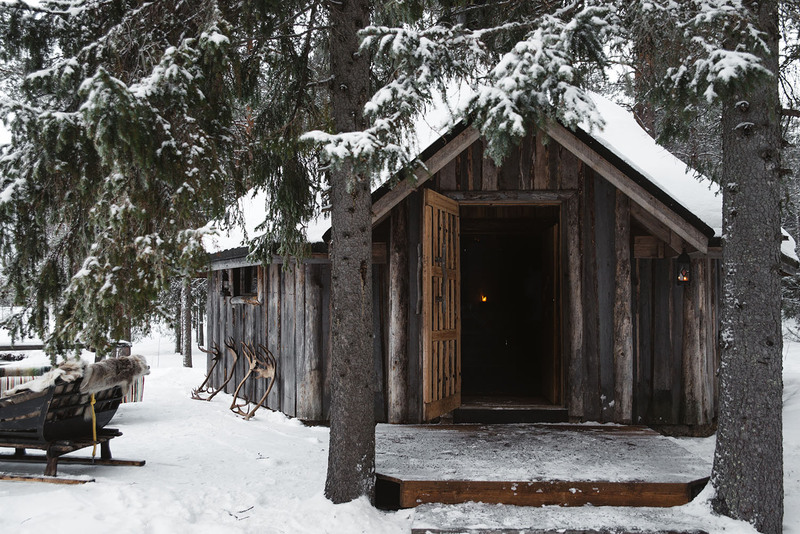 Next to the beach, you can rent anything from snowshoes and tires (to go downhill) to kicks, cross-country skis, and a nostalgic cottage. There is also a barbecue area and a restaurant next to the beach. Haha, I don’t even know what to say. In a borrowed overall and after having tested several different winter activities I felt like I was 13 years old again. Happy and feeling like a child again at the top of a hill next to Nallikari beach. A cup of hot chocolate after the husky tour in Syötten Eräpalvelut? Yes please! 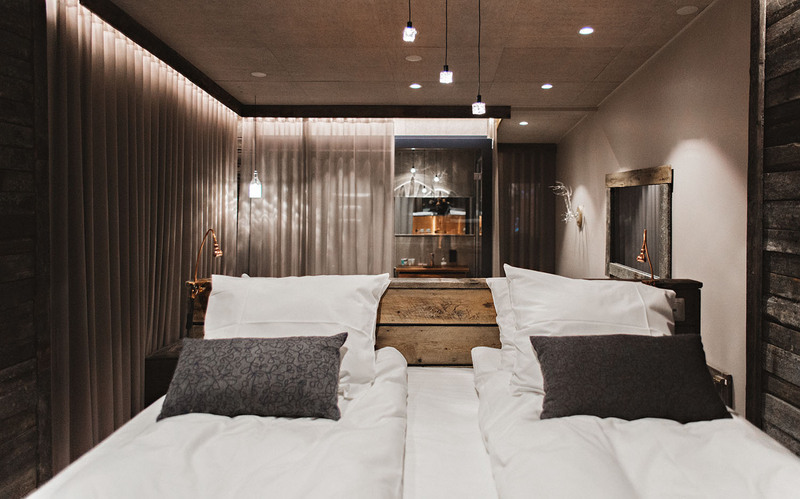 For real, how cozy doesn’t this view look? After a day out in the cold, there is nothing better than a cup of hot chocolate or a cup of coffee in a Lappish tepee. 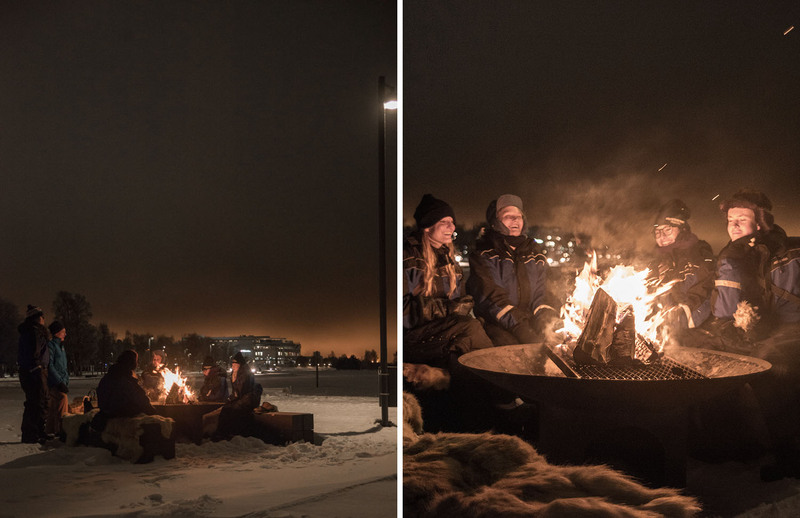 For the ultimate oooh-experience, have a crackling fire in front of you and pour your drink in a traditional guksi (a drinking cup crafted by the Sami people of northern Scandinavia). A snowy landscape is like light therapy in the day. 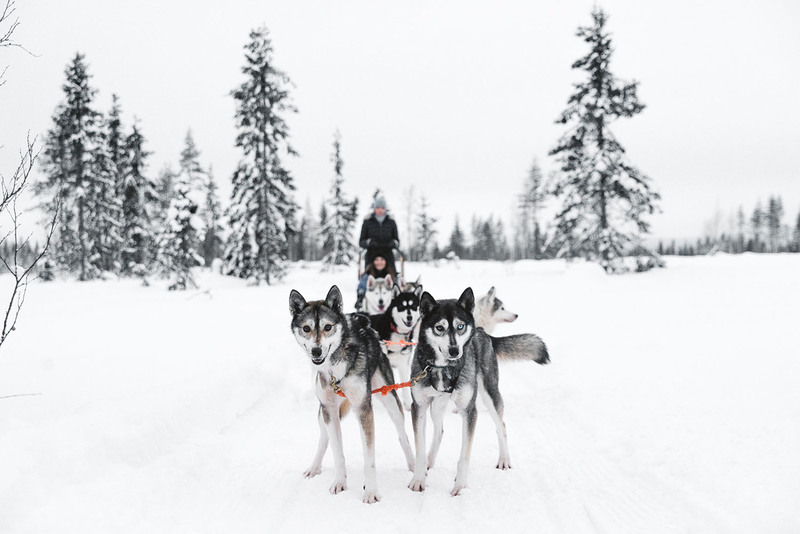 Whichever way you choose to explore the wilderness – with snowshoes, after dogs, reindeer or on snowmobile or skis – be sure to enjoy the silence and beauty of the North. It’s both magical and soothing. 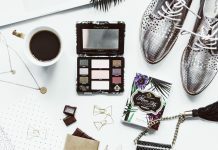 All that determines whether you are having fun or not is if you have dressed right. By that, I mean dress warmly, so you don’t freeze. Layering is the best! 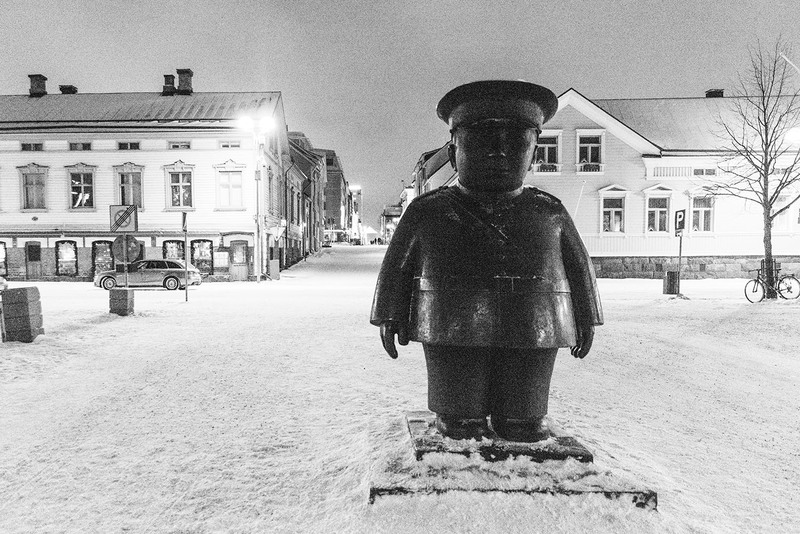 The bronze sculpture Toripolliisi is a local landmark in Oulu and is located in the market square. Air Guitar World Championships is an annual event held in Oulu. 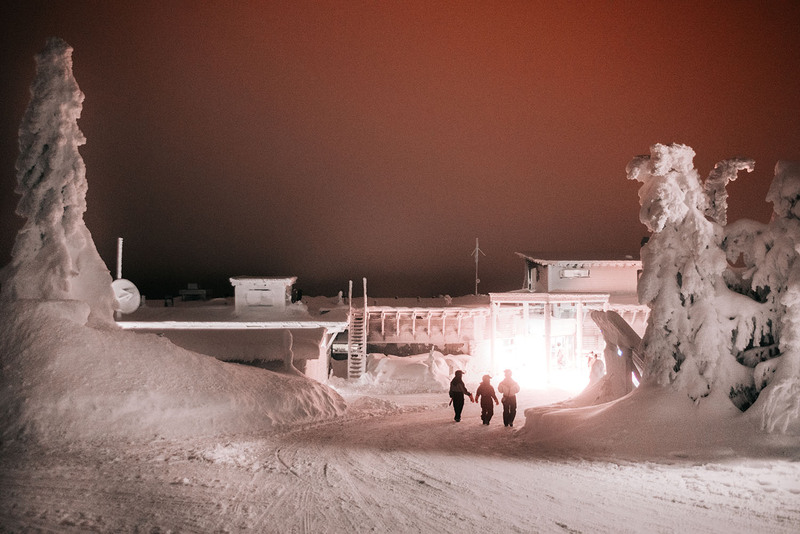 Oulu is considered one of Europe’s “living labs”, where residents experiment with new technology at a wide scale? There are no larger cities (outside of Russia) that are more northerly than Oulu? Oulu has the youngest population in Europe? Lapland Hotel Oulu is a very nice hotel that makes your Lapland experience complete (although you geographically, are not really in Finnish Lapland). 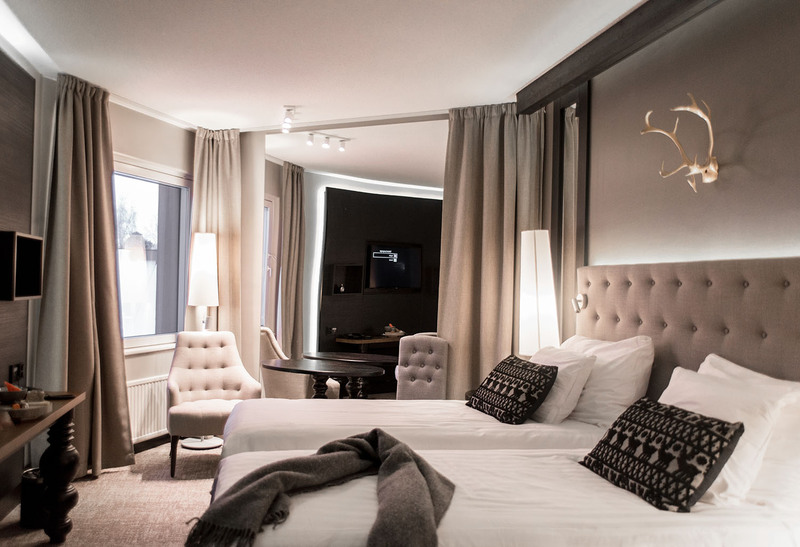 Located in the center of Oulu, this hotel is just a short walk away from shops, bars, and restaurants. My room at Lapland Hotel Oulu. Hur pretty? I love the calming colors and Lappish details. Do you want to see more pictures? 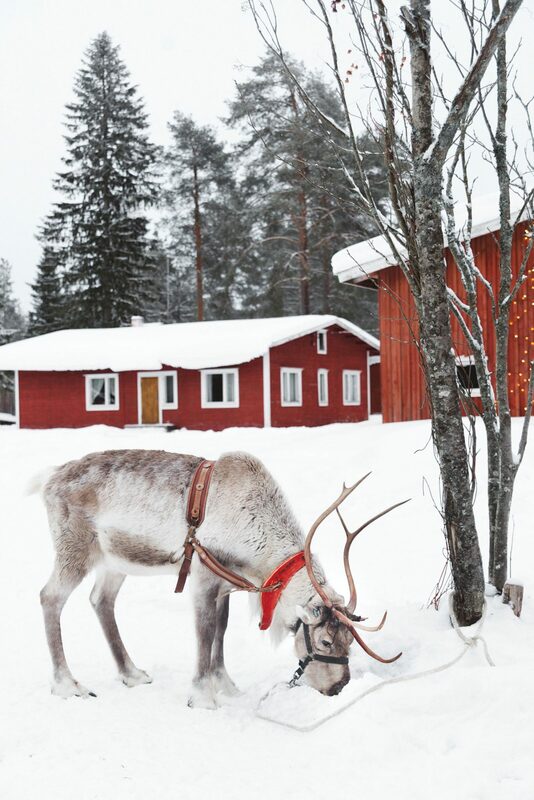 Check out my Instagram (@adaras) and the hashtag #nbeFinland. 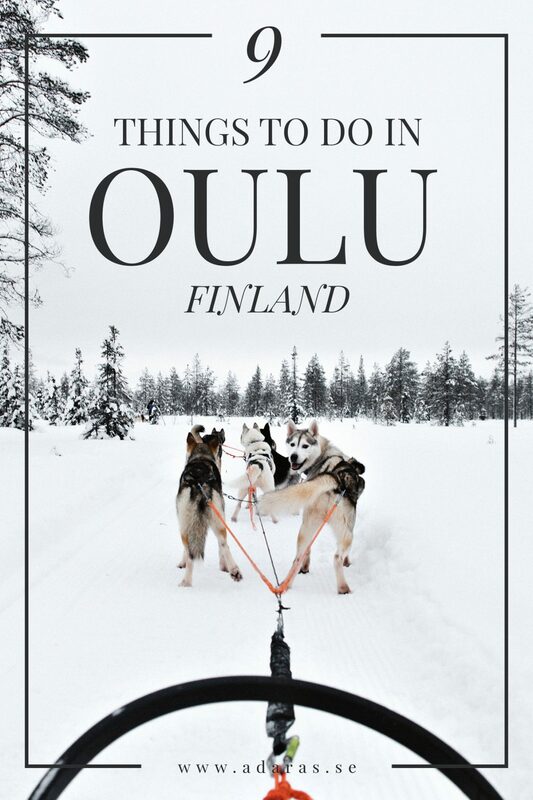 Have you been to Northern Finland or Oulu? Please share your best tips in a comment! 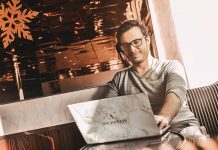 I visited Oulu and Syöte through Nordic Blogger’s Experience and Visit Oulu. 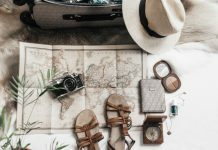 All recommendations in this post are of course my own and my personal favorites from the trip. Next articleIntroducing a new writer on ADARAS: my fiancé Simon!